A poor workman always blames his tools – or so the old adage goes. But here it's certainly the case: the snow is bulletproof, my skis (old, blunt and way too short) sliding uncontrollably as I awkwardly hack my way down the mountain. And things are about to go from bad to worse as a piste-basher is heading straight towards my out-of-control self. Thankfully, we avoid collision, and once in the groomer's wake, I can't help but ponder on just how surplus to requirements it is on a ski slope, so solid, so icy, that even a 12-tonne beast of a machine can't dent it. Welcome to skiing in South Korea. It's an unlikely place for a winter holiday, especially as the fact you could ski here was virtually unbeknown to most outside the country until a few years ago, when it beat Munich and Annecy in the battle to host the 2018 Winter Olympic Games. 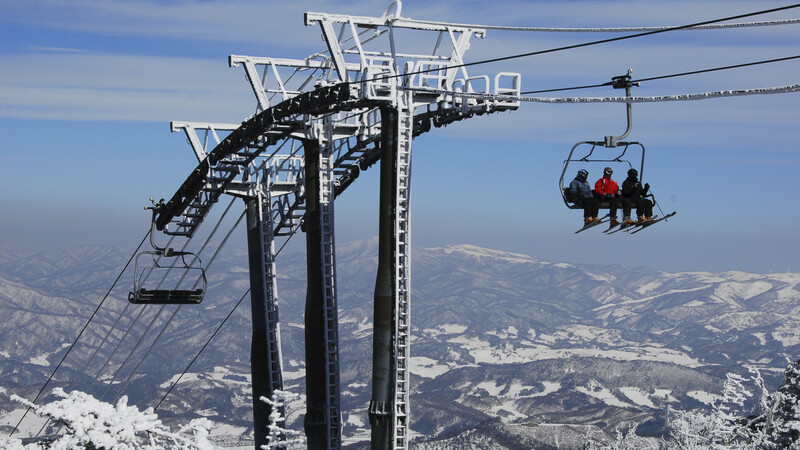 In fact, there are 17 resorts, although most cater exclusively to the domestic market with just a handful of ski lifts and few accommodation options. So what's on offer in this lesser-known skiing destination? Because of varying facilities and conditions, the Olympic events at Pyeongchang 2018 are being held across two main areas: the Pyeongchang Mountain cluster for outdoor sports, and the Gangneung coastal cluster for indoor sports like curling, ice hockey and ice skating. 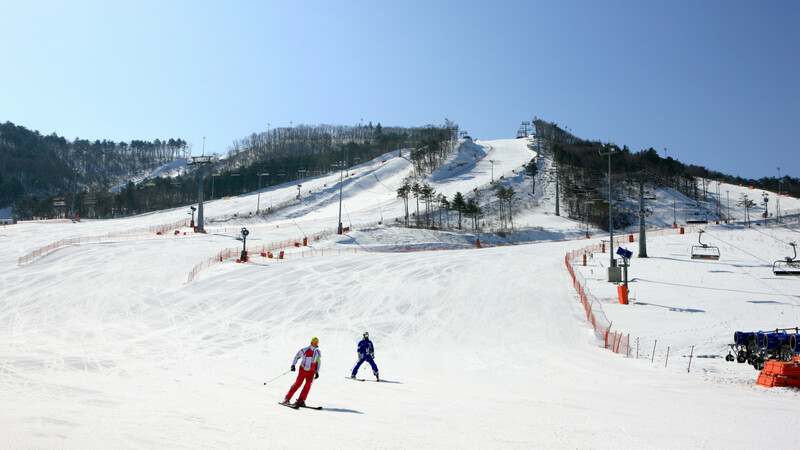 Most of the Olympics' ski events will happen in the ski resort of Alpensia in Daegwallyeong-myeon, which is also home to the Pyeongchang Olympic Stadium. Expect to see the slopes of Alpensia in events like the ski-jumping, biathlon, cross-country and slalom, as well as the luge, bobsleigh and skeleton. There are two standalone venues for Olympic events, both of which are southwest of Alpensia. 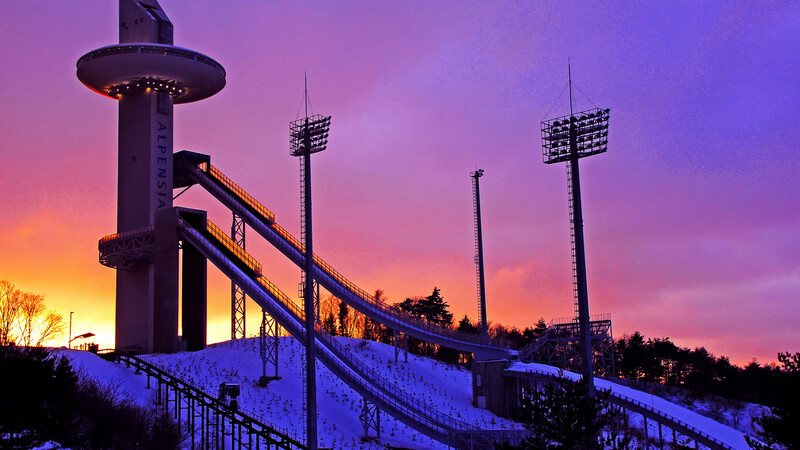 The first is Bokwang Snow Park in Bongpyeong-myeon, where freestyle skiing and snowboarding will happen. 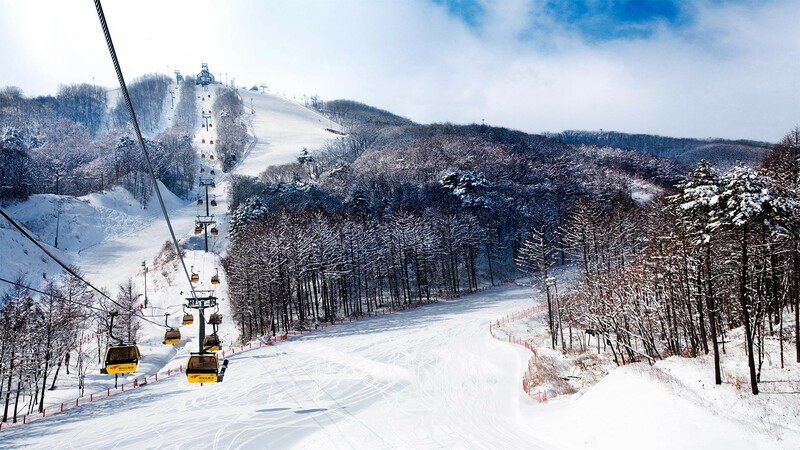 The second is Jeongseon Alpine Centre in Bukpyeong – home to alpine skiing events like downhill and super-G.
My adventure starts at Phoenix Park, the resort – a two-hour drive east of Seoul – that's hosting the freestyle skiing and snowboarding competitions at the games. It's a striking juxtaposition: vast wilderness meets a purpose-built resort with all the hallmarks of a 1980s planning disaster. At the base, tired-looking buildings cluster around the only gondola and the main 'ski house', where there's equipment rental, sports shops and a canteen, which, although it resembles a school hall, serves wonderful Korean noodles for around £8. Once we've had our fill and negotiated the rental shop ("You want one ski or two?" asks the technician – read: college student with a holiday job – before reeling off even more deadly serious yet ridiculous questions) it's time to join the mêlée on the mountain. Looking up from the base, the slopes resemble little white ribbons, cut in to the dense forest that otherwise covers the mountain. There's a mix of very slow chairlifts, the type found in France 20 years ago, and a single gondola, which – irony not lost – serves the 'Mont Blanc' peak. Once turning, we quickly discover that in spite of the resort's bold claims of 20-plus pistes, once you discount areas where a slope divides, you're looking at more like ten proper runs. The longest is Panorama, which measures an "impressive 2.4km length" and descends from the top of the gondola back to the bottom. But size isn't everything: in terms of terrain, the resort reminds me of Cypress Mountain in British Columbia, (a domestic market resort itself) where the freestyle events were held at the 2010 Vancouver games. We spend our afternoon pootling about the place, musing on our first impressions of snowsports in Korea (is it safe to ski with a selfie stick, and why does everyone do it?) and admiring the vast wilderness that spans as far as the eye can see. Later, I meet Lee Jongbin, the resort's assistant manager. He's excited about the Olympics, and says the money is welcome in upgrading the facilities, but also agrees "a lot of work has gone into making sure we can have the games here". "Until a few years ago, we only had one hotel, and that's now been updated ready for the Olympics" he tells me. "The second one opened back in 2016." Whistle-stop tour (and ski) complete, it's on to our second resort: Yongpyong, the country's largest, with 16 lifts and 28 slopes. Located in Daegwallyeong-myeon province, the resort will be the main sporting venue for the games. It's also here that a temporary Olympic stadium, capable of seating some 50,000 people, has been constructed. Yongpyong caters best for the international market, with several apartment blocks, and the Dragon Valley hotel – the resort's most upmarket accommodation. Here you can opt to stay in a traditional Korean ondol room (blankets on a heated floor), or a spacious western one. There's also two restaurants: Doraji, serving beautifully-styled Korean dishes, most notably Yukgaejang (spicy beef and spring onion soup), while the Chalet offers international fare. The next morning, ski-suited and booted, we're ready to tackle the 'Olympic-standard' steeps. The ambience at the resort's main day lodge is strange, and there's a hustle and bustle that's more akin to a commuter railway station than a leisure destination. At the top of an escalator, a resort worker, decked in hi-vis garments, shouts a long sentence at us in Korean, before simply translating as "skiing" and pointing nonchalantly towards the door. Outside on the mountains things are no different. Huge advertising hoardings flank the sides of the pistes, and tinny classical music – ranging from wartime concert hall to last night of the Proms – rings out from battered loudspeakers, interspersed by inaudible safety announcements. The experience is surreal yet unbeatable. We spend the morning tearing around the rainbow sector, which will be used for the Olympics and is served by a high-speed chairlift, allowing us to get some miles under our skis. On the lift I get chatting to a student from Seoul, kitted out with a tatty jacket, and tracksuit bottoms. "I hadn't skied until last year," he says. "I've only been to the small places near the city, but my friends said here is best, so I drove over." He's not staying overnight because "it's too expensive" but says the trip was worth the drive. Most people return to the base at lunchtime, but for keen beans, there's one on-mountain lunch option: Dragon Castle, a proper sit-down affair at the resort's 1,458m summit, serving tasty food – the succulent stir-fried beef tenderloin and rice comes highly recommended – at reasonable prices. Full, and feeling a tad lethargic, we spend the afternoon moseying around the more gentle red and gold zones, both of which have wide easy breezy slopes, served by a series of fast and slow chairlifts. 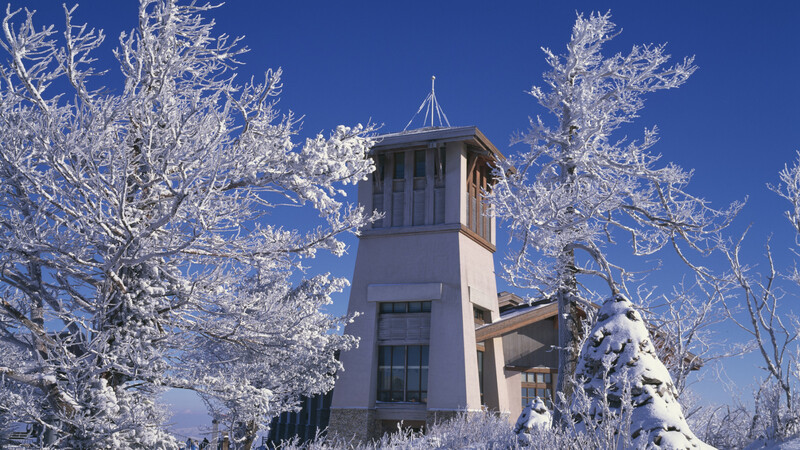 By now it's late in the afternoon, and our thoughts are turning to the après-ski. Except skiing here doesn't end when the sun dips behind the peaks of the Taebaek Mountains, because – like most things in South Korea – the sport is as much a hobby enjoyed under moonlight (well, powerful floodlights), as one by sunlight. There's a brief hiatus in activity in the late afternoon, while the snow groomers work their magic, but once complete, it's all systems go until 9.30pm (or even later at some slopes). Only then does the après-ski kick off, underground at the resort's emporium of bars and arcades, where the bowling, billiards and karaoke carry on to the wee hours. So too does free-flowing Class beer, sloshed down with countless soju shots – vital for those in need of a little extra musical confidence. The vibe will come as a shock, and you'll feel 15 again, but for novelty value it cannot be beaten. There's no denying it, a trip like this isn't going to interest everyone – it's a 12-hour flight – but if you're visiting Seoul in winter, it'd be churlish to pass on a skiing experience so removed from what we know. There might not be long pistes, glitzy bars or restaurants, but it's not about that here. Yes, I've skied loftier, 'greater' resorts, but in skiing the Korean Olympic resorts, I found stations that had a quirkiness that cannot be rivalled in any 'conventional' skiing territory. Seeing how other cultures adapt to any sport is fascinating, and more so when the country is preparing to host a Winter Olympics.